2013 Handmade Halloween Costume Contest Winners!! The votes are in, our judges have given their input, and it’s finally time to announce the winners of our 2013 Handmade Halloween Costume Contest! There were so many talented entries into this year’s contest, it was difficult narrowing it down to 25, and we definitely needed your help finding our top 3 entries! Without further ado, here are the 2013 winners! Julye H. from Toronto, Ontario! 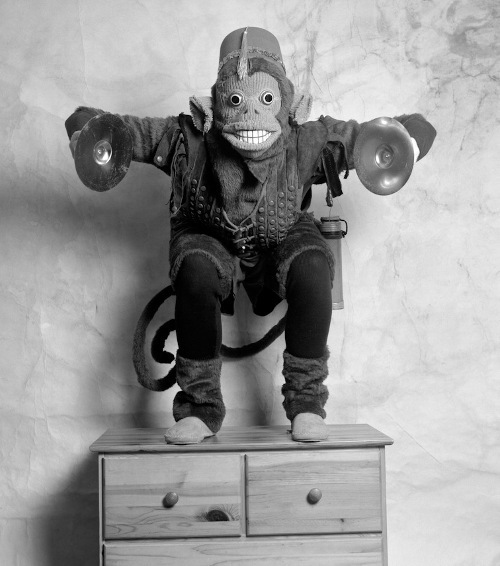 Julye’s kind of creepy, but skillfully made Mechanical Monkey costume was a hit with our Facebook fans and judges. This costume is hands down my favorite. It is amazingly well done though the description seems like it would be easy enough to recreate. And I love that photo… that’s commitment to the bit. I heart you mechanical monkey. So creepy but yet so adorable. The attention to detail makes this costume come to life. I am impressed with all the different textiles used to make the outfit. Great job! That is oddly creepy and impressive all at once! John G. from LaFollette, TN! 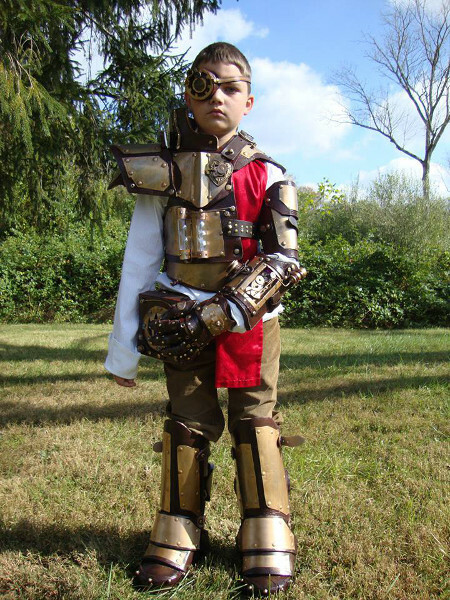 The materials John used to create his son’s Steampunk Inquisitor costume stunned our judges and fans. I can hardly believe some of the elements of this costume like the craft foam and thumbtacks. I mean, it looks like a very expensive specialty costume you could rent. And, for some reason, I think it’s incredibly cool that it can stand up on its own. This costume is flat out amazing! I love that they used simple items like craft foam to make the base. The aluminum really adds to the realistic look of it. Plus the brilliant use of brass tacks for rivets! Awesome! Overall great look. 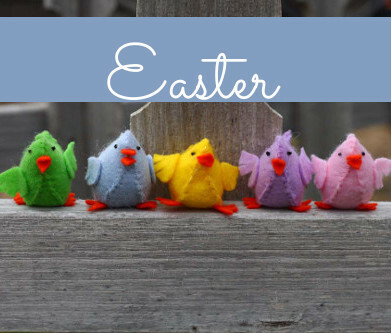 Linda H. from Southbury, CT! 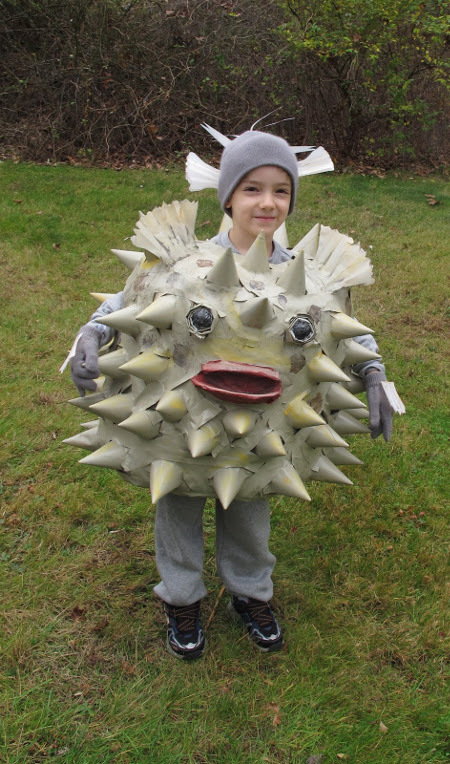 The uniqueness of a pufferfish costume, the lifelike appearance, and the awesome kid inside the costume made Linda’s entry a favorite among the judges and fans. I love seeing kids that want to be something different for Halloween. I love even more seeing adults who want to make it happen for those kids! My jaw gaped open as I looked at this one. I was really curious to see the materials used. Pretty cool and instantly recognizable to me. Here are a few more wonderful finalists from this year’s contest! 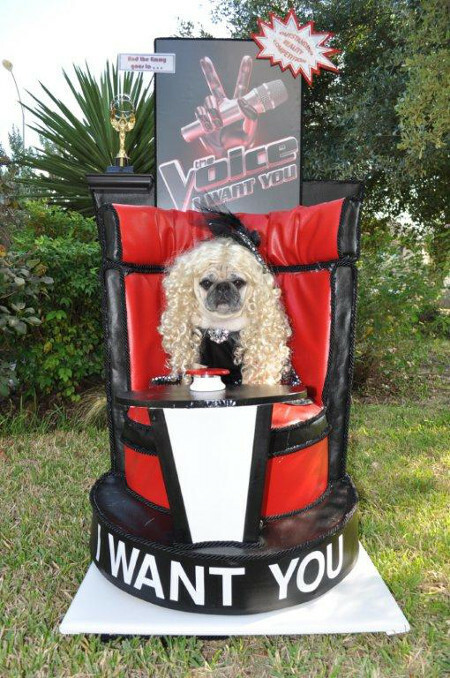 Janet’s “Christina Puguilera” costume is not only adorable and hilarious, but can you believe how in character her dog is? Wow! All I have to say is they sure went all out on this one! And it is awesome how the dog is going along with it! Pretty hilarious all around! Dawn’s peacock costume is so detailed and elegant! 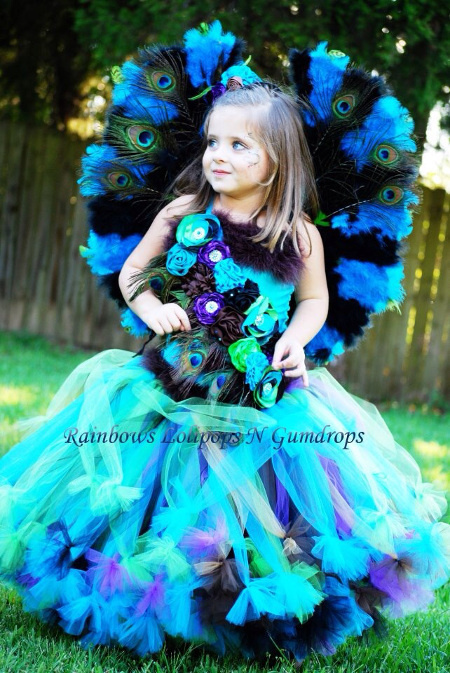 At first I wasn’t sure if this was a Halloween costume or a pageant gown. It’s very pretty and I don’t know that I’ve ever worn something quite so elegant even though I have over 20 years on this little cutie. 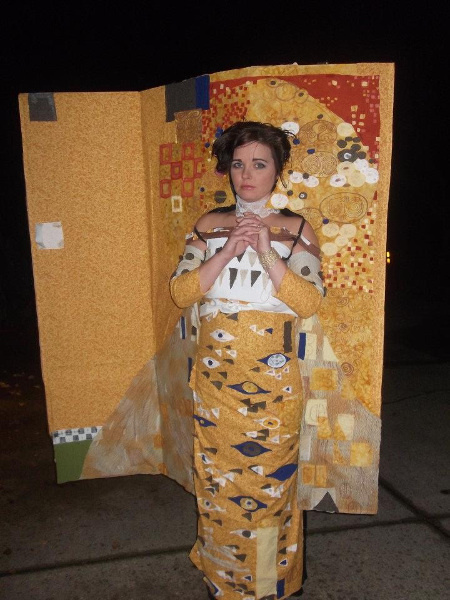 Melissa’s Klimt painting of Adele Bloch-Bauer is pretty much spot on like the real one, and so creative! So fantastic! The key to this is how exact it is, it has to look like the painting or it’s just not going to work and this LOOKS LIKE THE PAINTING!! WOW! I’m amazed at this project! I just love it! Thank you again to everyone who entered and voted, and a special thanks to all of our judges! Check out the rest of the finalists over on the CreateForLess Facebook, and don’t forget to like us while you’re there! 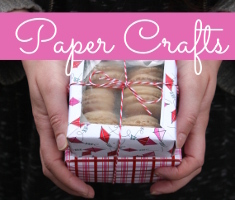 This entry was posted in Crafts, Halloween and tagged Contests on November 6, 2013 by CreateForLess. 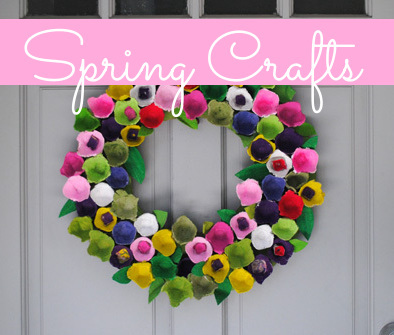 These are alllllllll soo cute and lot’s of time and work went into them!! !